Electronic health records (EHRs) can be an incredibly helpful tool in providing targeted patient care and reducing medical error. 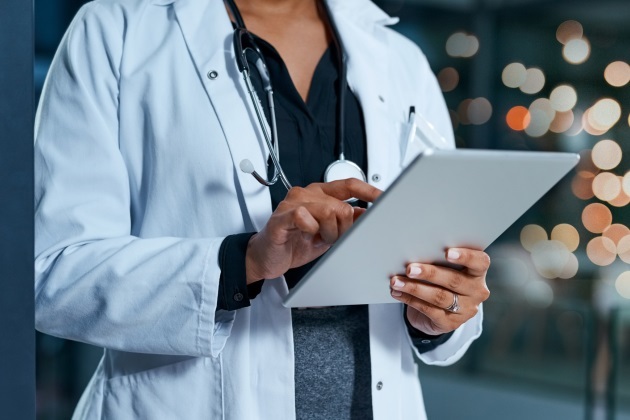 Yet many hospitals' EHR systems can be difficult to navigate for many doctors due to poor technology, confusing or time-consuming notation requirements, or a lack of understanding how to utilize EHRs to provide the best patient care. The solution? Take stock of your EHR system for efficiency — then use the following advice to make it easier for your doctors to work with, with life-saving, cost-saving results. Implement medical record interventions into your EHRs. A new study from Boston Medical Center found that when that facilities incorporated specific recommendations for physicians to keep in mind into patients’ EHRs, unnecessary diagnostic testing was reduced and the use of post-operative order sets increased. Encourage your doctors to be alert to inserted guidance notes, such as not overutilizing X-rays, and use these prompts as they see fit per individual patient cases. In the end, care can be improved, and patients won't be subjected to undue stress or expense. If you see a higher percentage of settlements than you feel comfortable with, consider a mandatory re-training EHR program for your doctors. Research from Harvard University found that just 5.7 percent of participating physicians who properly and regularly use EHRs to document patient interactions paid malpractice settlements, as opposed to 12.1 percent of participating physicians who were more lax in updating their notes. Make sure your system is user-friendly, and that your doctors understand exactly how to navigate it. Also, clearly state the importance of maintaining current and complete notations to prevent problems. Working to update patient notes can be time-consuming; research from the American College of Physiciansfound that physicians spend 1-2 hours updating notes per night, cutting into their personal time and quality of life significantly. What's more, surveyed doctors reported spending just 27 percent of their time treating patients, as opposed to 49 percent of their time on EHR duties at work. To prevent burnout and increase accuracy, devise a division-of-labor plan for your hospital's clinic staff to work with your physicians to update patient notes immediately after each appointment. Researchers from Massachusetts General Hospital report that offering financial bonuses throughout the year to doctors who demonstrate quality improvement in how they manage EHRs was highly effective in terms of improving quality of care and efficiency. Training workshops on how to load in 80 to 90 percent of patient notes in a specific time frame can help your doctors do better, plus motivate them to work toward that extra pay. Poll your physicians on what they like and don't like about your EHR system and take their comments seriously. Call in your IT teams to simplify technology, and work quickly with doctors who need instruction or information throughout their workdays. Make EHRs as easy to use as possible — your hospital will benefit in so many ways.